In this tutorial, I will show you how to make a show stopping piece for your next party. When we think of ice molds, we think of extravagant pieces of art at exhibits and events. Well what if I told you that you can have your own mini piece of art right at home? Wow your friends with this super easy tutorial. Gather all your items and remove your ice mold set from its packaging. Using Distilled water will help you achieve the clearest ice. The ice mold container has markings for your fill line. Do not exceed this line when adding water. Pour your confetti into the ice mold. I used 1 package of confetti to add only minimal confetti to the mold. If you would like your mold to have more confetti, add more packages (2-3 more) until you achieve your desired look. 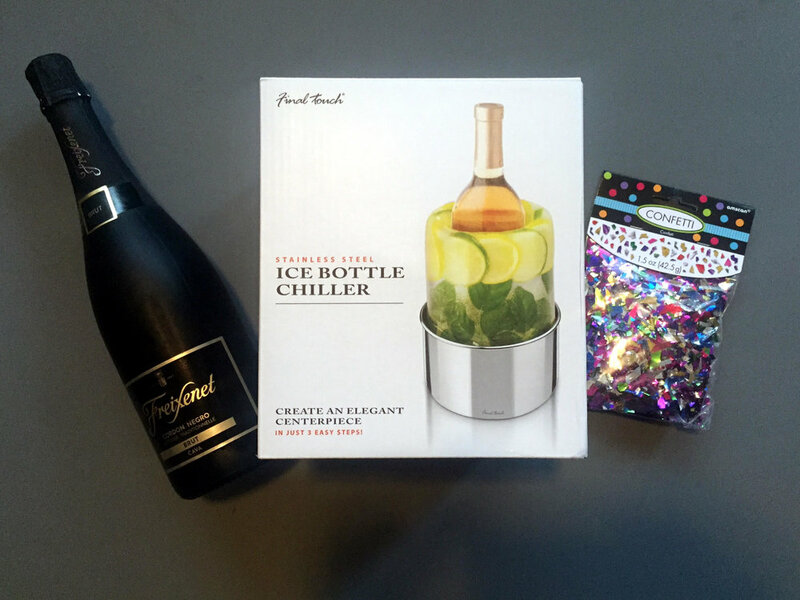 Once you have added the desired amount of confetti, now cover your ice mold with the lid included in packaging. Make sure you create enough room in your freezer. Also, make sure the ice mold is placed on a level/smooth surface within your freezer. While in the freezer for the first 5 hours you do not want to move the ice mold. This can shift your confetti or water and make an uneven surface. After 24 hours remove your ice mold from the freezer. Once you remove your ice mold from the freezer you now want to place it on the support stand. Allow the ice mold to sit for 30-45 minutes at room temperature. If the mold does not slide out of the mold try to use luke warm water to assist. ALERT: DO NOT USE HOT WATER. I repeat, do not use hot water. Running hot water over the mold may cause the ice to crack. Now that you have removed the ice mold, place the mold on the support stand within the bowl. You are now ready to host your event! We hope that you enjoyed this tutorial! Tag #charmingicemold for your version!